I love the months when there’s more space to read. In March, I dipped my eyes into more books than a first semester freshman. I read three books yesterday while traveling. Book in hand vs. phone in hand? Book wins. Time we spend reading is worth taking. The time we use for reading is useful for everything else. 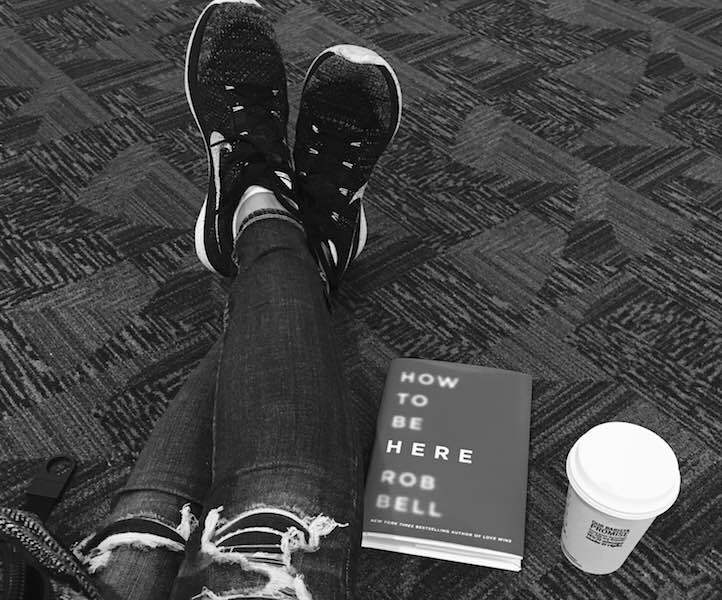 As I was turning the last page of Rob Bell’s new book a word came to mind, defibrillating. Then the idea surfaced, what if I did ONE WORD book reviews? I can find and share one word that fits, one quote that takes the cake, and one thought or question the book caused me to ask. Cheers to the power of constraints! Glasses clink and we’re off. If the people like it, find it helpful, I’ll do it more. Or, I’ll just keep doing it because I really love doing it. Some things are worth doing even when no one else thinks they are worth doing. I would love to know if you’ve read any of these gems and what your word might be! Rob opens a lot of chapters with the words “one time I had an idea for a book/ movie/ recorded album”. Don’t let it discourage or distract you! It’s Rob being Rob. You be you. Step into this rhythm restoring, Sabbath inducing, get-in-your-life-because-it’s-happening-currently read. It’s so good. What if I took the 10 things no one told you about being creative and turned them into 10 months of learning to be creative? What if microtasking ONE THING could help us create so many more things? Anyone want to do this with me? Thanks Austin for the creative prod. This was the most WONDERFULLY BIZARRO story, illuminating the human condition, the adolescent condition, our need for intimacy…it’s probably the most solid and unrivaled 80’s culture canon (that’s fun to read) on the planet. EVERY LEADER NEEDS TO READ THIS. Get a sign for your house. “You don’t have to be awesome.” Make your home a safe container to be seen and loved in. What are your thoughts on Rob Bell as far as a preacher of the Gospel?